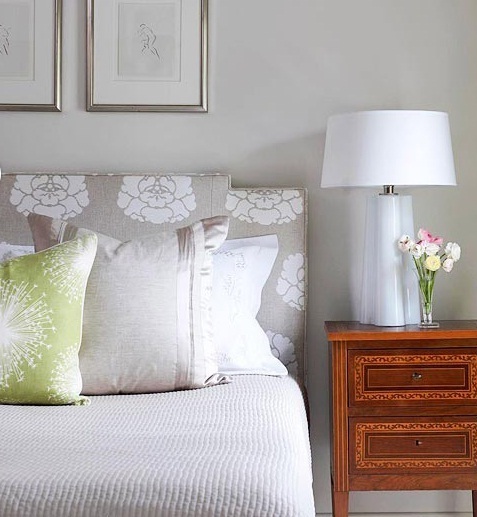 Is your bedroom bland and boring? Ready for a quick makeover or a total room transformation but don’t want to replace the furniture? Here’s your inspiration to create the WOW factor without breaking the bank. 2) Add stunning custom drapes! which makes the ceilings feel taller & the room feel larger. 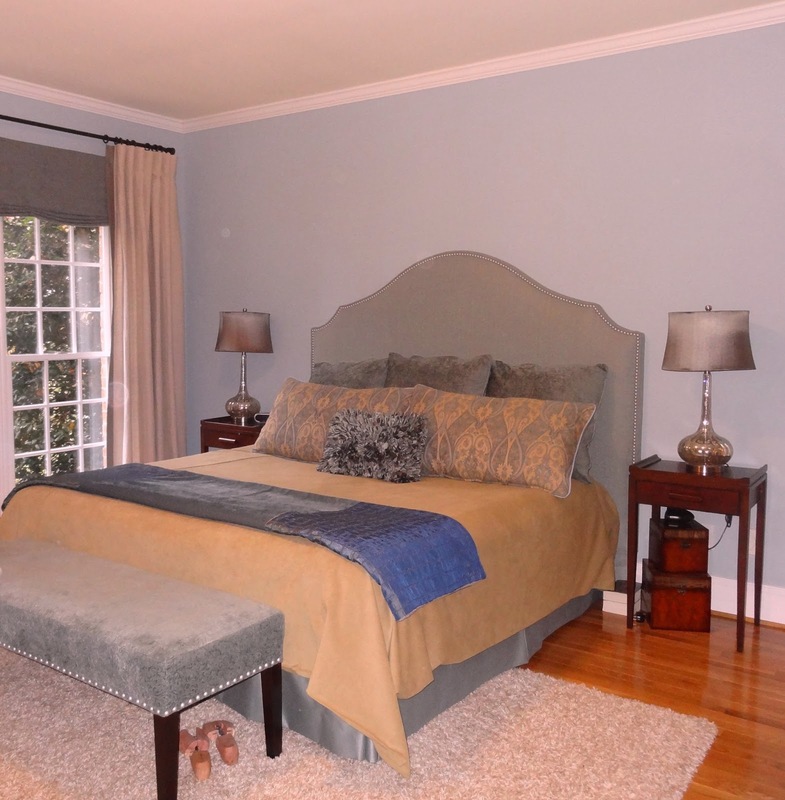 If you can add custom drapes your bedroom will instantly look MUCH more sophisticated. They should be hung above the window to create the illusion of height. Notice that it’s not necessary to add panels on both sides in some instances. This window treatment brought in a new soothing “spa like” color, which is repeated in the throw pillow. 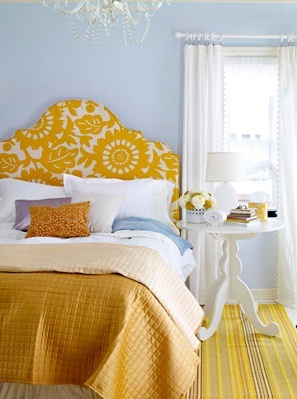 3) change your headboard. Notice the one word, headboard, not entire set. know that new furniture is rarely the solution, if anything, that will make the least amount of impact. Nothing creates a makeover more effective than adding bold colors! wrapped on a board, this can be hung on the wall in place of a headboard. a bench at the foot of the bed, then linen drapes and finally, roman shades over the windows! 6) Do a little at a time! It’s not necessary to do everything at once as long as you have a plan, creating a color scheme, deciding on fabric choices and an overall plan will help you avoid impulse purchases. Notice the furniture is still traditional, but the amazing fabric on the headboard gave the room a big update. How to make a fun, hip play room for children & teenagers, 9 tips just in time summer. After a long search in stores and online for something that would block the morning sun from my east-facing bedroom window.